Inatur pure and cold pressed olive oil is excellent oil for massaging infants and toddlers. For adults it can be used daily on face, body and hair as it improves the skin barrier function and is a good emollient for dry skin and scalp. Pure olive oil contains powerful anti-oxidants that helps to reduce wrinkles and fine lines on the skin. It effectively softens and hydrates skin, fades scars and stretch marks, prevent hair loss and thickens hair, eyelashes and eyebrows. It works great as a face cleanser and can be used for all skin types. About the Brand: Founded by Pooja Nagdev, a renowned cosmetologist and internationally acclaimed expert on natural ingredients, Inatur Herbals comprises of a wide range of Ayurvedic, natural skin care, hair care and personal care products that are safe on skin and result oriented. The products are GMP, ISO and Halal certified, and are awarded for sophisticated environment and quality management systems. The brand believes that healthy skin is happy skin and it is committed to ethical, natural and honest skin and hair care solutions that bring out the best in you and for you! Explore the entire range of Massage / Carrier Oils available on Nykaa. 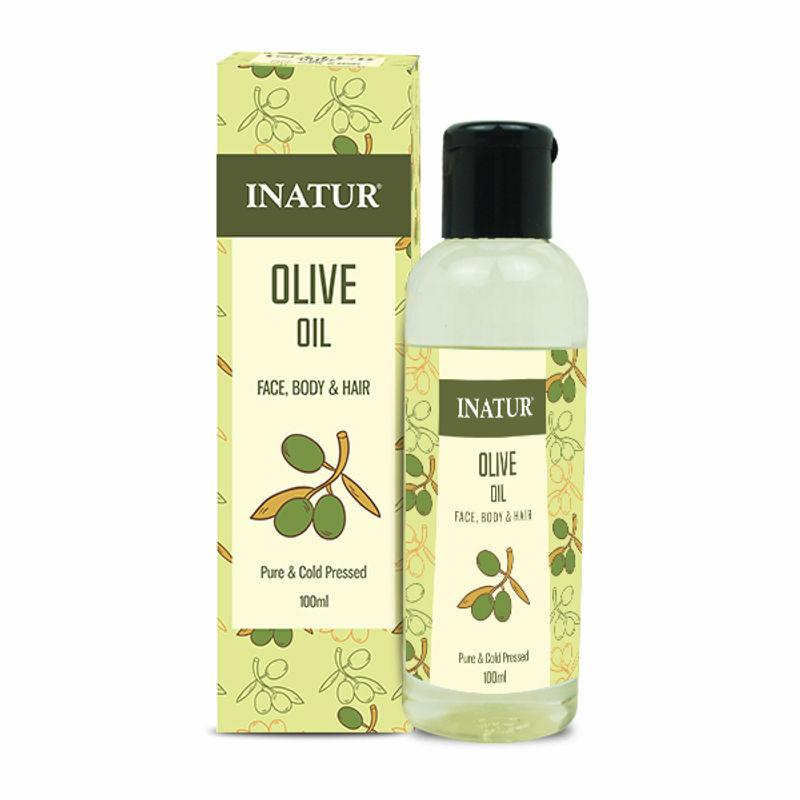 Shop more Inatur products here.You can browse through the complete world of Inatur Massage / Carrier Oils .